Are you looking for the perfect Super Bowl recipe? Here it is. 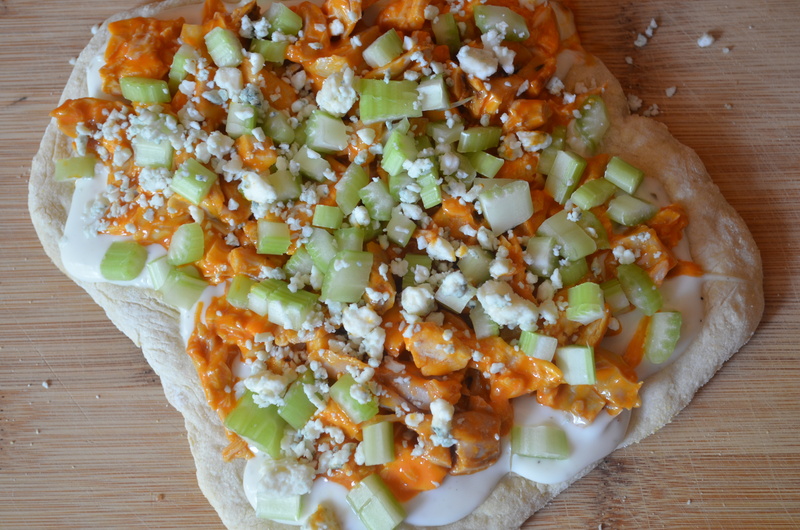 My Buffalo Chicken Pizza is the perfect blend of spicy sauce mix, creamy cheese, chewy pizza dough and heavenly cream cheese. Yes, I use cream cheese as the base and then top that with chicken breast tossed in wing sauce and cheese. I am a big believer that cream cheese makes the world better. With only 5 ingredients, this is EASY and scrumptious. One of the keys is to use Ott’s hot sauce, it has amazing flavor and a perfect balance of heat for most people. If you can’t find Ott’s, then use your favorite wing sauce. I try to make this spicy, but not unbearable because people like all different heat levels and if you have a party, you never know what people like. Toss chicken with hot sauce, stir to coat and set aside. Spread cream cheese evenly over your pizza crust. When covered, spread chicken out across the pizza. Top with cheese and then a slight drizzle of more hot sauce. Bake 15-20 minutes until cheese is melted to your desired consistency. Note: Not every store carries Stonefire Pizza Dough, which also makes naan. It’s usually kept next to the Naan. It’s awesome though. This entry was posted in Appetizers, Juliana's Favorites and tagged Appetizer, delicious, easy, hot wings, Ott's, Party, pizza, recipe, rotisserie chicken, spicy, super bowl on January 28, 2015 by Juliana Goodwin.